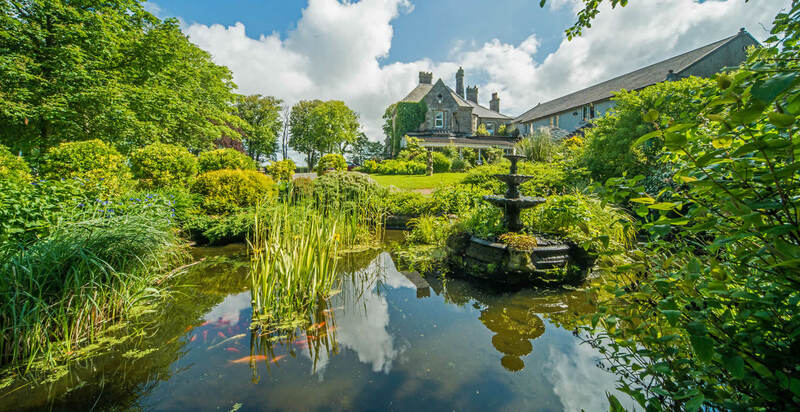 The picturesque setting of our charming 18th century Manor House make Hunday Manor the ideal venue to enjoy and celebrate your wedding. 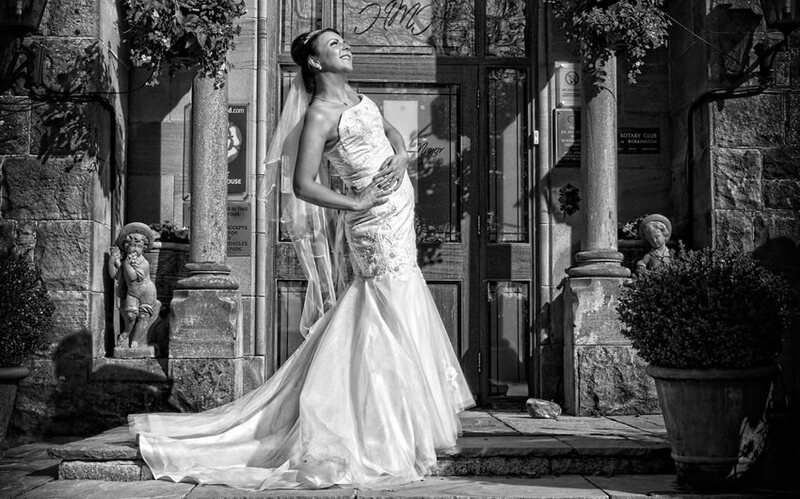 Whether you require a small intimate gathering or a large and lavish reception, we offer our trademark outstanding hospitality and service to ensure you really do have the best day of your life. 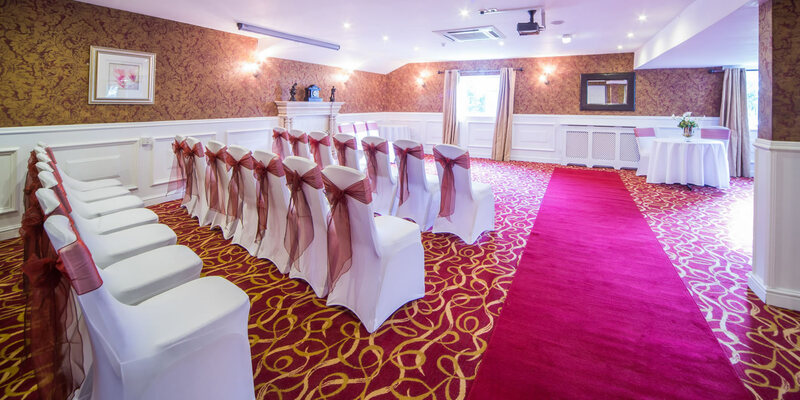 We are also licensed for civil wedding ceremonies and can accommodate up to 200 people depending on your preferred layout, with other rooms available for smaller wedding parties. 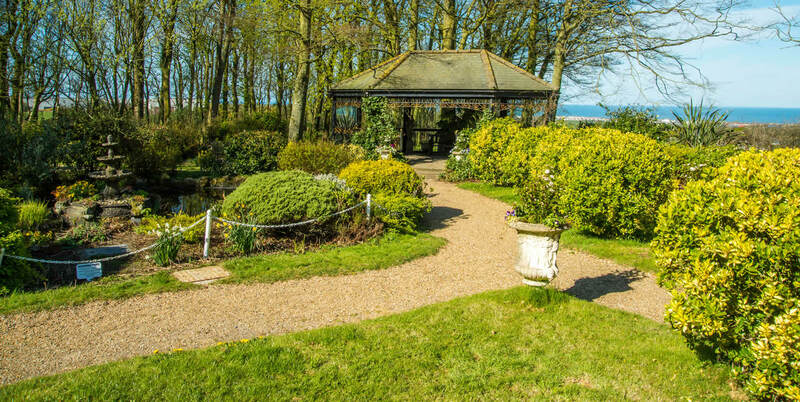 The ceremony can also be carried out in the garden gazebo, with views of the coast as your backdrop. 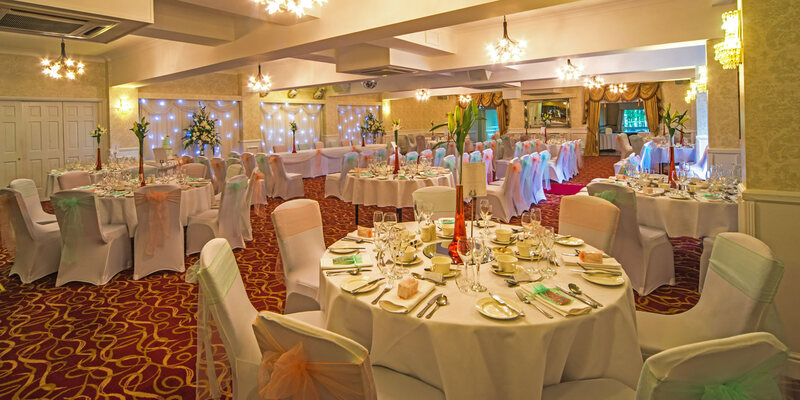 Our team will be on hand to help you every step of the way, offering a selection of large or small wedding packages that can be individually tailored to meet your every need. 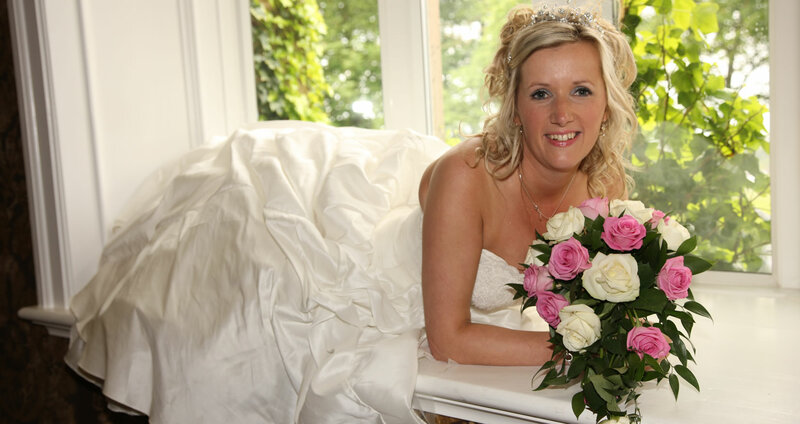 We only host one wedding per day - tell us what you want and we will do our best to make it happen. 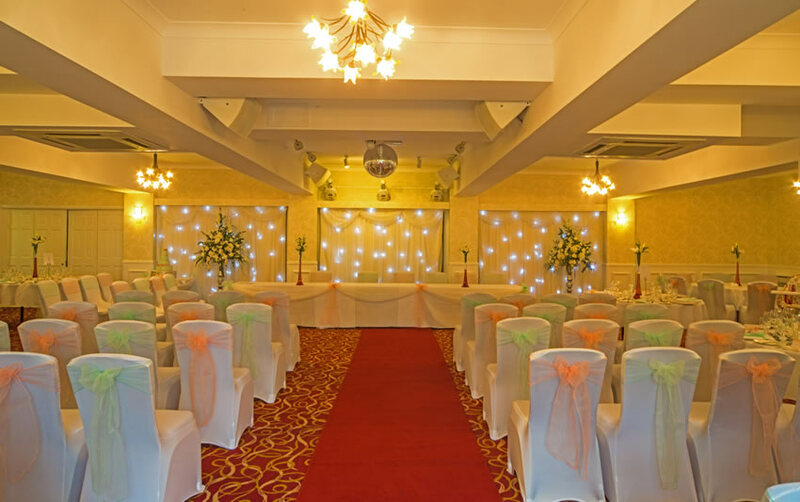 Here at The Hunday Manor Hotel, we are licensed to hold Civil Wedding Ceremonies for you and your partner. 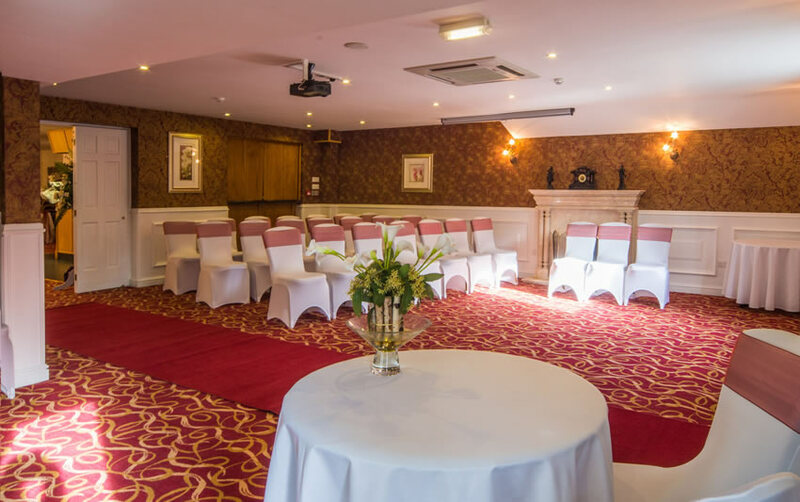 We can accommodate up to 200 people in our purpose-built function suite, depending on your preferred layout, with other rooms available for smaller wedding parties. 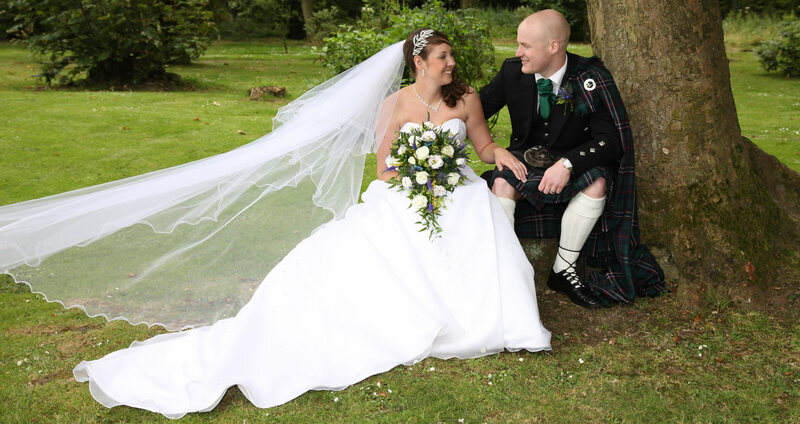 The ceremony can also be carried out in the garden gazebo, with views of the Solway Firth providing a stunning backdrop. Monday to Friday: 9am – 12pm, 1pm – 4.30pm. A provisional booking can be placed on a date for 14 days without deposit. 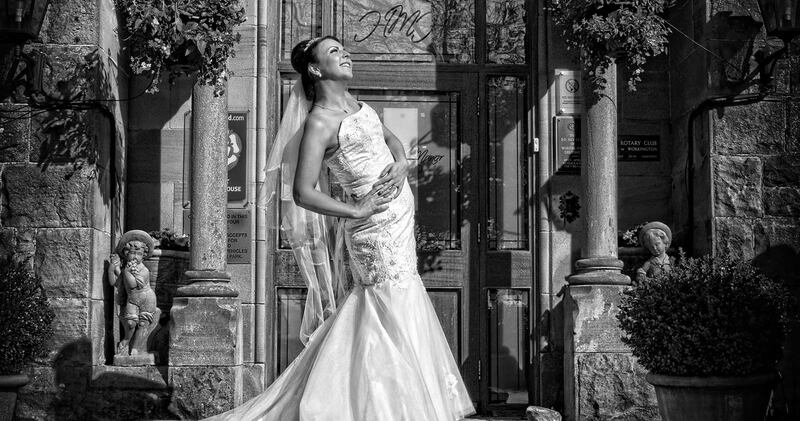 This time can be used to ensure your chosen wedding venue and/or registrars are available for that date. Following 14 days, a deposit of £500.00 is required to reserve the date with a completed booking form, which will be held until after the event and released minus any incidentals. This deposit signifies the acknowledgement of shared liability between both parties. A further £500.00 is required 6 months prior. All deposits are non-refundable. All requirements and/or amendments must be made in writing. We recommend that an insurance policy is taken out to cover any unlikely eventuality. In the event of a cancellation, the following charges will apply. The deposit will not be deducted from these charges and is non-returnable under any circumstances. Cancellation in excess of 12 months will incur no charge. 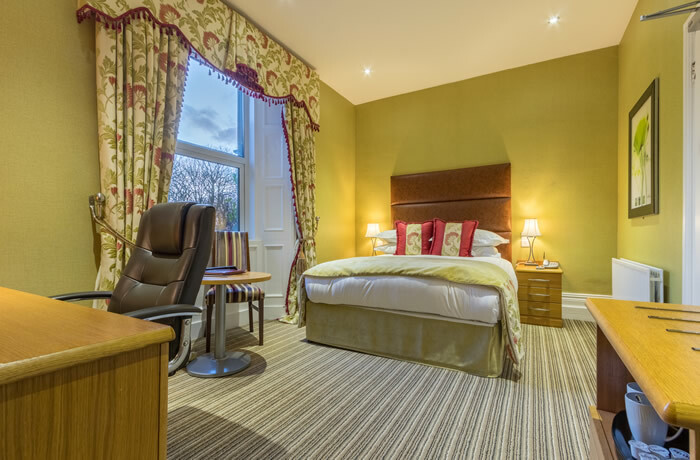 Cancellation 6-12 months prior to your event will incur a charge of 35% of the total value of the booking. Cancellation 4-6 months prior to your event will incur a charge of 50% of the total value of the booking. Cancellation less than 4 months prior to your event will incur a charge of 100% of the total value of the booking. 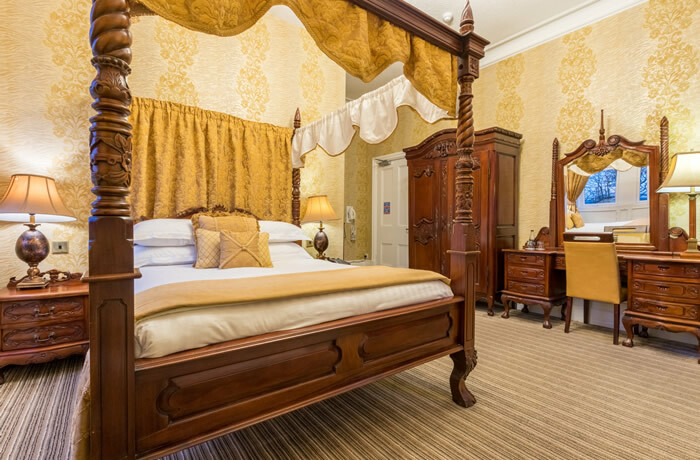 The value of your booking will be calculated using the lowest priced 3 course breakfast option, lowest priced drinks package and the lowest priced buffet within the wedding package, based on the numbers provided when confirming your booking. All prices in the package are current and subject to change. Prices will be up dated on our website in January each year & the new prices will be applied to your account. Final numbers are required 6 months prior to your event and form the basis for your proforma account. All accounts must be settled in full 28 days prior to your event. Please be advised that any damage to the hotel or its property during your event, you, as the customer will be held responsible. A charge will be raised to carry out any such repairs. 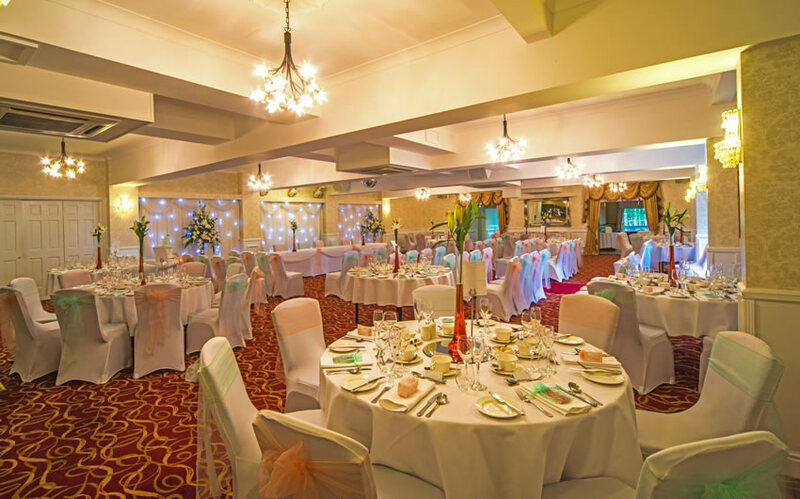 Once the booking procedure has been followed, the function suite will be reserved for your sole use throughout the duration of your function. 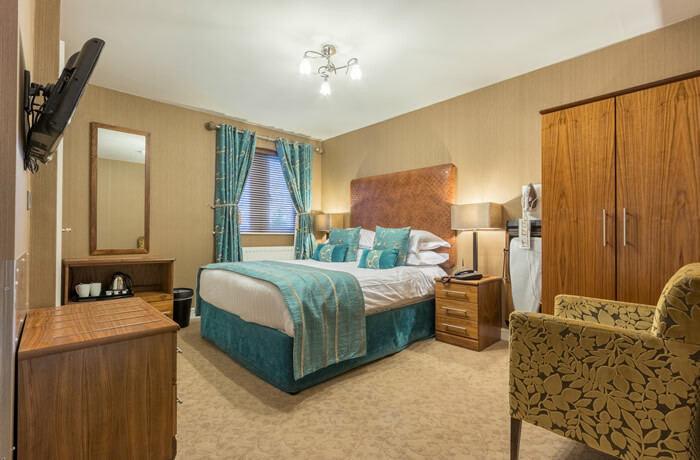 No access will be permitted to the hotels bar lounge area other than residents going to and from their room as this area is reserved for those dining in the restaurant & any other resident guests staying for a more relaxing break. All entertainment for the evening should finish prior to 12.00am, at which point last drinks will be served and the bar closed. All guests are required to vacate the premises by 12.30am. Only food and drink purchased on the premises may be consumed. 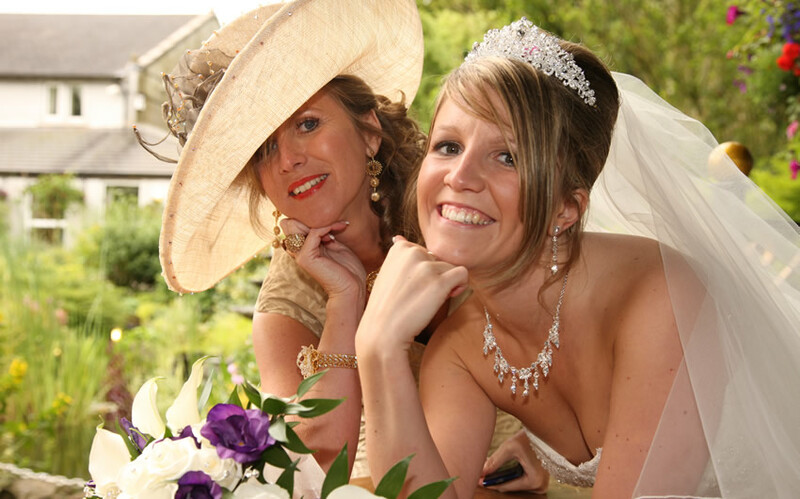 It is the responsibility of the bride and groom to ensure guests do not bring food and drink onto the premises. A charge will be applied and deducted from your deposit should this not be adhered to. In extreme circumstances we reserve the right to bring the evening to an early finish.